I just got back from camping with my family and we had such a great time. Before we left I was searching for different food ideas that I could do. And I came across a few really good ideas. I found a Banana Boat recipe idea and I just had to try it out. I did mine a bit different and they were soooo good and so I wanted to share the recipe with you. What you will do is leave the banana in the peel and then cut a slit down the center of a banana. 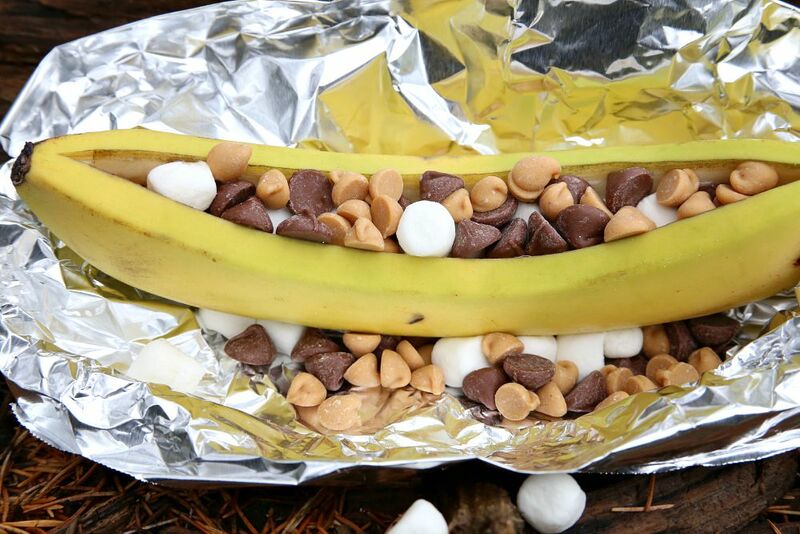 Place the banana on a piece of foil and then fill the banana with the Peanut butter chips, Chocolate chips and Marshmallows and then wrap it in foil. 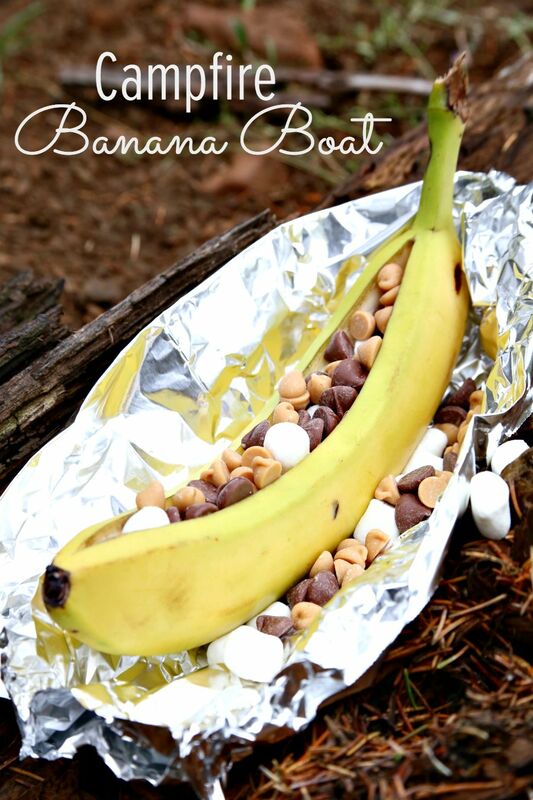 Place the banana wrapped in foil on top of hot coals from the fire and leave for about 5 minutes or so until everything is melted. Don’t over cook or the marshmallow with turn into liquid. It still will taste great but just not as good as it could. 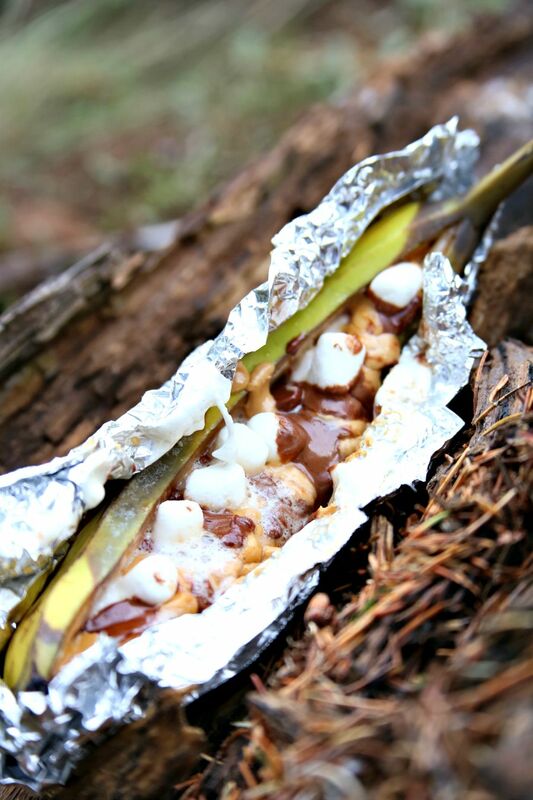 Also, you don’t need to be camping in order to try this out. Try it out on the grill. Let me know what you think. I make these for dessert and it’s always a hit!